Old McDonald card, Rude kids cards, Silly Children's cards, Toddler rude words card, funny kids card. funny birthday card. 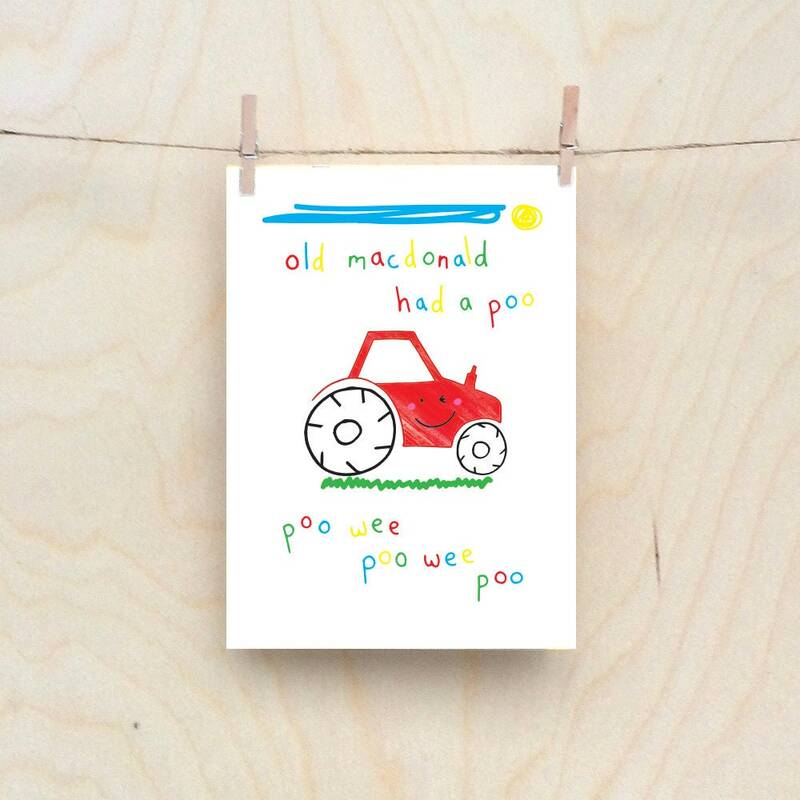 Old mcDonald had a farm and on that farm he did a poo.